A pastrami sandwich from Rivelle's. 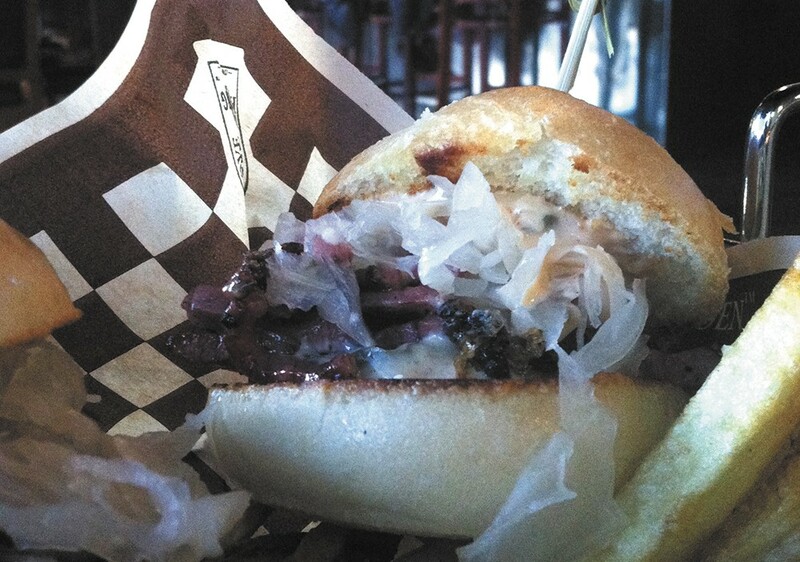 Melone's Public House has a new name: Rivelle's River Grill. Located inside Coeur d'Alene's Riverstone development, it's still serving pub-like American fusion food catering to health-conscious eaters. Chef Tariq Rahman has adjusted the menu a bit. Instead of Melone's "saints" and "sinners," the menu is organized into starters, sliders, sandwiches, sautés, street tacos and salads. There's even a kids' menu, including cheesy items (grilled cheese, quesadilla, mac and cheese), but also fruit. Many of Rahman's hallmark items remain, such as the Detox salad with kale, spinach and Napa cabbage ($9) and sliders with hand-cut fries (2/$9). There is also a smattering of Asian-influenced flavors like the banh mi sandwich or Korean tacos with cucumber kimchi ($12). Salads are served with nearly every meal, ranging from cabbage slaw to cauliflower couscous to mixed greens, and their menu notes other items appealing to health- and eco-conscious eaters: mostly local and organic produce, grass-fed beef, wild-caught seafood and free-range poultry.